We are writing this open letter to you out of grave concern for our fellow Americans in California. Who are we? We are American citizens from every state in the Union, and some of US are recent victims of the ongoing firestorm conflagrations. 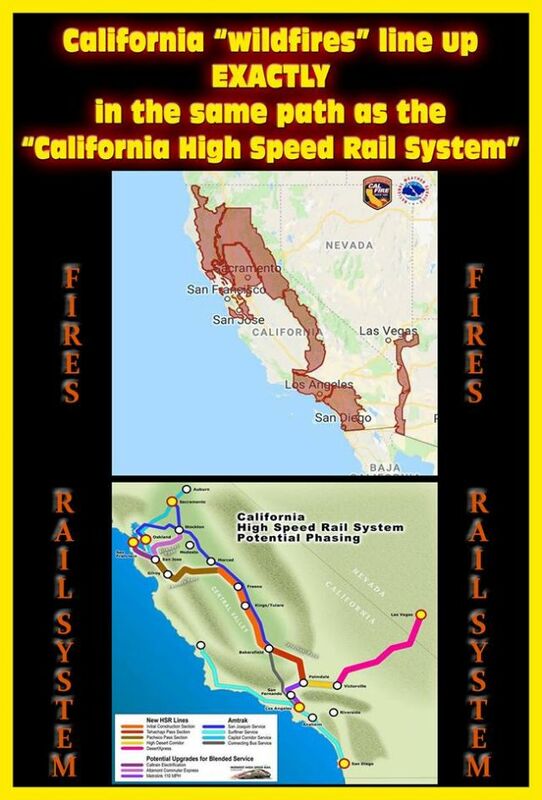 In the aftermath of this year’s two wildfire seasons in California, conclusive evidence has emerged which shows that these fires were manmade. In fact, not a day passes that firsthand testimony is not authoritatively presented about this calculated attack on our neighbors. Much more importantly, the scientific proof indicates that advanced weaponry was used to both create and rapidly spread many of these firestorms. How else can surgical strikes be made on so many houses and vehicles, businesses and other properties, particularly when there was no wildfire anywhere in sight? 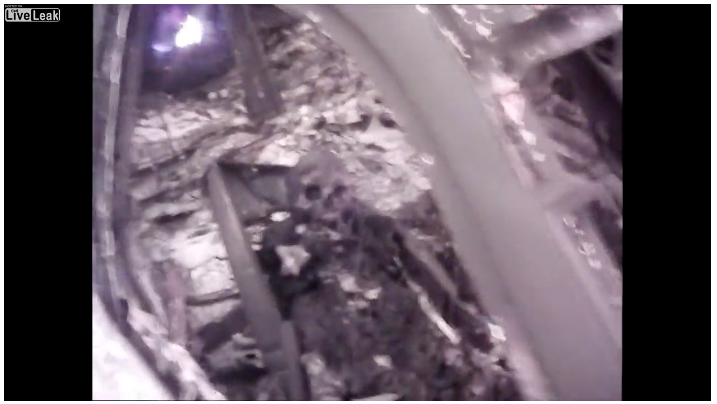 An abundance of photographic evidence clearly demonstrates that vehicles were literally torched by some sort of directed energy weapon (DEW). Likewise, homes have been shown to have collapsed in on themselves after being imploded by a DEW. The anecdotal evidence has revealed the same extraordinary phenomenon. These wildfires were started by a form of advanced DEW technology and then the flames were fanned by another form of sophisticated weaponry. We know we don’t have to remind you of the single most important responsibility of the POTUS: To protect and safeguard the American citizenry. *As the Commander-in-Chief, President Trump, you have invested in you the statutory power to employ the U.S. Armed Forces and all appropriate Federal Law Enforcement Agencies to respond to this audacious attack on the American homeland. 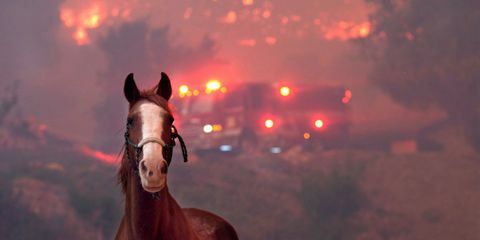 If these federal institutions were doing their jobs in the first place, there would not be a fire apocalypse occurring right now in California. The bottom line here is that if you do not take this responsibility very seriously, who will? We are very sorry to say that this is not being done, especially throughout many conservative rural counties in both northern and southern California. Many of our fellow citizens have been burned alive in their vehicles and homes by a form a warfare never seen before in the 50 states. Hundreds of thousands have been forced to evacuate, many of them permanently dislocated. Thousands have lost their homes and businesses. Countless Californians are now homeless with nowhere to go. Still others have been rendered bankrupt and without any resources…only the clothes on their back. 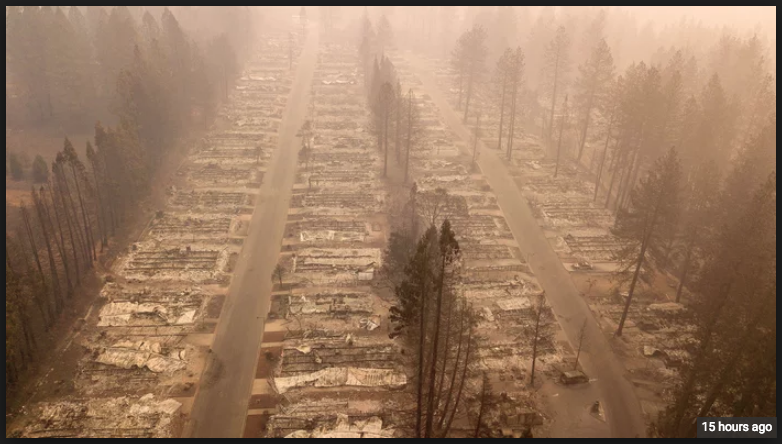 The true causes of these apocalyptic conflagrations in the once Golden State make for a predicament that is shockingly outrageous and completely unacceptable. What are you doing to stop these brazen and deadly attacks on Americans conducted on U.S. soil? Please understand that, there is no more important a function for the President of the United States of America to perform, than to ensure the safety of the populace. President Trump, We the People ARE UNDER SERIOUS ATTACK! We are being killed on the spot without a moment’s warning. This situation must be investigated and rectified immediately … not next week … not tomorrow … but NOW! These violent acts of environmental terrorism are still ongoing throughout the state of California as we write this. And, yet, no one is doing anything to shut them down. No one has done anything to terminate the rogue entities who are torching an entire state. Really what is going on here? Republican counties have been singled out for years to be the victim of this type of stealthy warfare. The public record is replete with indisputable evidence of mass murder and mass destruction during the manmade wildfire seasons. We the People demand action from the U.S. Federal Government now. We also demand expeditious remedy and relief for those who are suffering terribly in the wake of this unparalleled catastrophe. The killing must end; the deliberate damage must be compensated. Have we made ourselves clear? Lastly, may we say that many good souls have sacrificed themselves so that these bold attacks on American sovereignty can be brought to light. Please, President Trump, act decisively — in this very moment — so “that these dead shall not have died in vain”. P.S. The following attachments provide plenty of hard evidence — scientific, circumstantial and anecdotal — which corroborate the categorical statements made in this open letter about the attack on California.